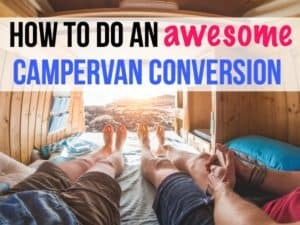 Today I have an awesome interview to share with you about a full time RVing family who makes six figures per year running an Amazon FBA business. Many of you might not know what Amazon FBA even is – I didn’t until I spoke with The Roving Foleys. This interview is part of a new series I’m putting together called: “How to make money while traveling full time“, about the different ways people living alternatively make money. 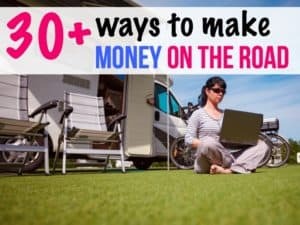 These will be stories from people living in RVs, vans and sailboats who figured out how to make a decent income to support their full-time travel. 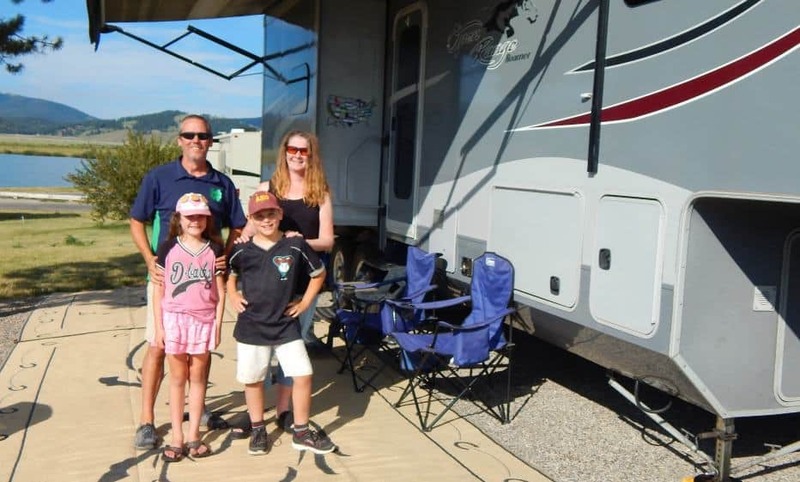 The Roving Foleys is a family of four who’s been traveling the United States by RV for three years now. They got sick of the rat race and wanted something more out of life, so sold their home and got rid of most of their stuff. Their primary income is from an Amazon FBA business, and I’m going to tell you exactly what Amazon FBA is and how you can also start making a living online with this business as well. Frank and Grainne Foley are expecting to make $500,000 this year selling their own products on Amazon, which is incredible, given that their first year in business they only brought in $35,000. They’ve worked really hard to get to where they are now. Starting a business is never easy; you just have to struggle and power through to make it work. Here’s how the Foleys built their Amazon FBA business. The FBA part in Amazon FBA means Fulfillment by Amazon, which means you send products to Amazon, and they ship them out to customers. You can do two types of products: buy discounted products in a store to resell or create your own products. The former is called Retail Arbitrage, and the latter is Private Labeling. The amazing thing about this sort of business is that you don’t have to hire employees or store a bunch of products that you are responsible for shipping out. Amazon stores everything in their warehouse, processes and ships those items for you. Amazon does charge fees for using its platform. To see a detailed list of fees for Amazon FBA, go read about it here. The Foley’s chose Private Labeling because they control their own product and listing on Amazon. It wasn’t easy for the Foley’s to find their groove and start making money selling on Amazon. They developed their first product line while still living in suburbia, and it was aimed at home entertainment. Once they started living full time in their RV, the Foley’s really niched down their products. Check out the four main products they are selling on Amazon. Two are The Roving Foleys brand, and two are a brand called Gypsy’s Cart. Grainne told me she really likes selling via Amazon FBA because the family doesn’t have to tow a bunch of products around with them. “The main aspect of Private Labeling is getting our products in front of people. This is where the REAL work is, we probably spend 20 hours per week working on the business,” said Grainne. One of the problems that need to be solved when selling your own products with an Amazon FBA business is where and how to manufacture that product. Grainne said her business uses manufacturers in both China and the United States. She and her husband first found items similar to what they liked online already, then tweaked those products to make them their own and added branding. Then, it was time to find a manufacturer. “The Alibaba website lists TONS of factories that you can search by product, but a sourcing agent is also a very good investment. This would be a local person in China who can help deal with the logistics of finding manufacturers there,” said Grainne. The Foleys have been working on their Amazon FBA business for several years now, and say one of the biggest hardships is finding the right internet connection while on the go. At first, they tried using campground internet, but found out it just didn’t have the bandwidth. “I remember one time at a campground in Texas where I had to bring the kids down to the clubhouse to do homeschooling because we had no WiFi. I wasn’t able to do any online work for myself unless I went down to the clubhouse at nighttime!! It was a nightmare, so we decided there and then we needed our own WiFi,” said Grainne. Since then, the family has invested in a hotspot. “We have an AT&T Hot Spot with an Unlimited/ Unthrottled Plan. We have only had AT&T for a few months but so far we are pretty happy with it. The trick, of course, is to check out new places BEFORE you go there to make sure you will have service,” said Grainne. You can browse through AT&T Hotspots here. Asking online will get you a LOT of responses. Everyone has an opinion, but we are pretty happy with this current set up. It is simple, portable, and most of all. It works. 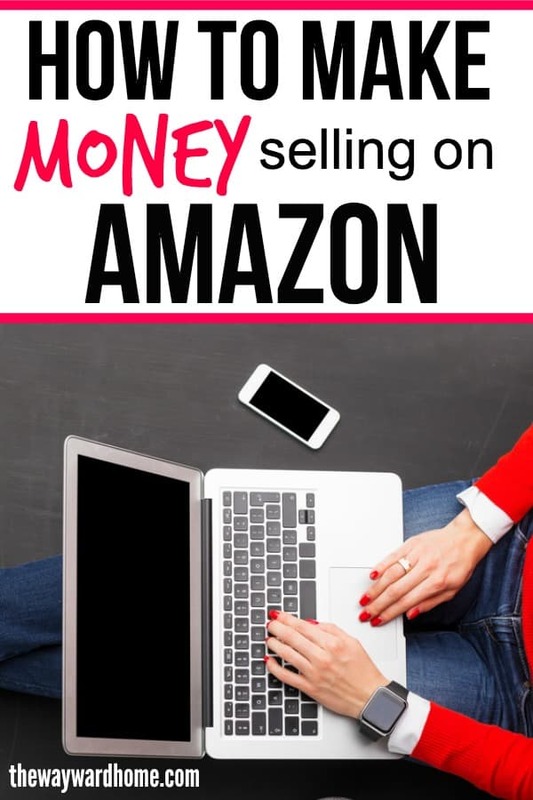 There are so many ways to get into selling online these days, from an Amazon FBA business, to Etsy, to eBay, to Shopify. Grainne said she recommends that if you’re really interested in running an Amazon FBA business, you should look into getting some coaching. “We went without coaching for far too long. This business can be very tough if you do not have a support system of knowledgeable people as well as others who share your path,” she said. 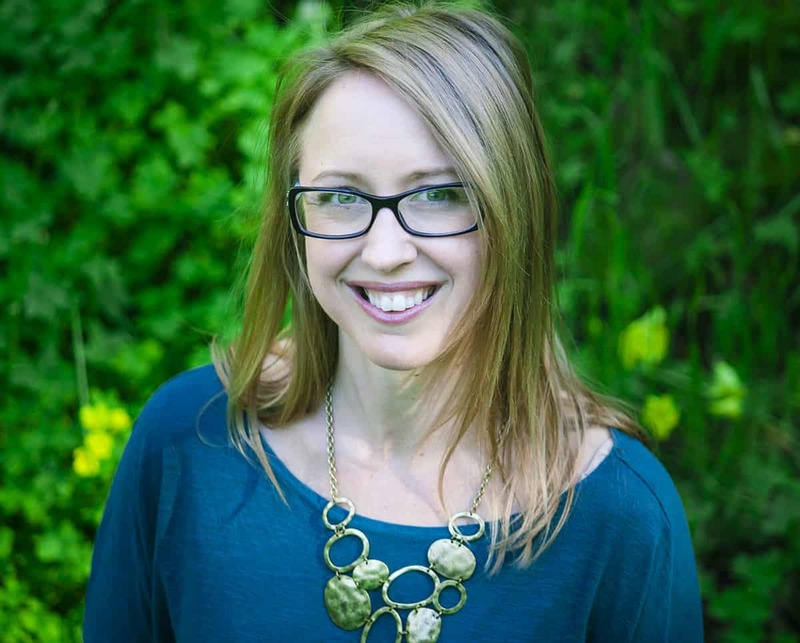 She and her husband connected with million dollar sellers on Amazon who helped steer them in the right direction, everything from finding a profitable niche to improving listings to changing photos. 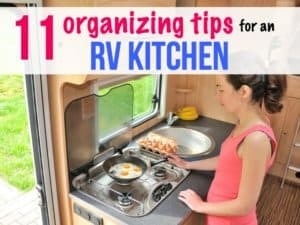 Grainne told me that if you’ve been dreaming about the RV lifestyle for a while now, you should just go for it. Figure out a way to make it work. Take stock of your own skill set and then get online and start looking around. There are tons of opportunities for all kinds of occupations where you can travel for work. 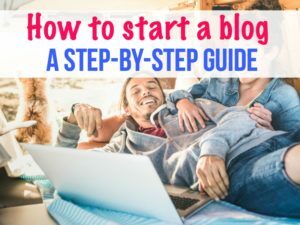 There are a ton of helpful resources, Facebook groups, training programs, etc., that will help to prepare you both for working online and LIVING on the road. There are so many people doing this these days that it is really easy to find resources for advice and information. One thing we have learned about the full time traveling community is that it is a community that LOVES to share information and experiences. One of the most common questions asked on the community pages is “What do you do to earn a living?” These are always followed by a thousand different responses. Don’t let your doubts take control, there is something good out there for you. Hopefully this inspires you to take action and start thinking about ways you can also make money to fund your travels. Good luck! I live on a sailboat and would LOVE to learn more about Amazon FBA and coaches. I actually have an idea that I do feel passionate about – just no sure what is the first step. Thanks! Do an online search for jimcockrumcoaching.com. I am planning to live on a sailboat but will be circumnavigating. Obviously there will be places without internet and occasions when I’ll be in the middle of an ocean for potentially weeks at a time (Atlantic – 2 weeks, Pacific – probably three). Is an FBA business viable in this situation do you think? Hey Paul! That might work out, especially if you get all the kinks worked out before you go. You could hire someone to take over while you’re doing ocean crossings and out of WiFi signal. I’m sure you could also contact the family I interviewed and ask them how much internet time they need to run their business. Good luck!